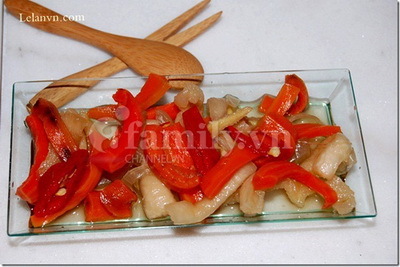 Vegetable pickles is indispensable for the Tet holiday,It is very crisp, eat with boiled meat, square glutinous rice cake, fried pie, and frozen meat are very tasty. Note: The portion of raw material, you can add kohlrabi,pickled scallion heads to depend on your hobby. 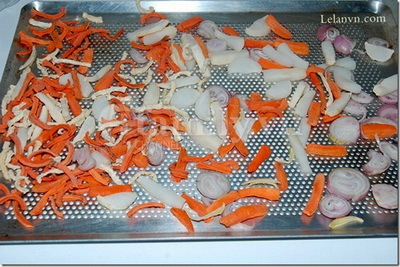 Carrots, turnips are peeled and sliced about 0.5 cm long (and then cut into pieces). If it is sunny, you will expose them to the sun,but It is not sunny,you can use oven to dry. 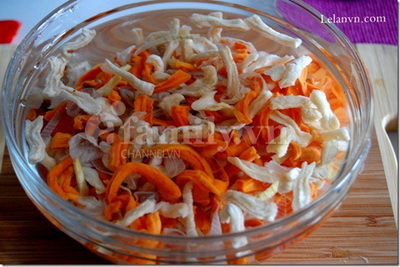 If it is dry, then you soak them with cold water to soften in a moment. 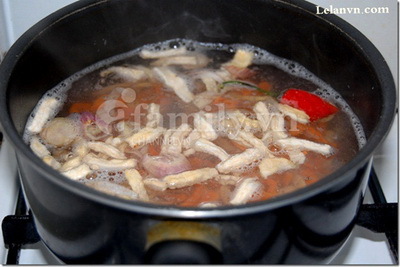 When the raw material are withered,they are dipped in hot water about from10 to 20 seconds. 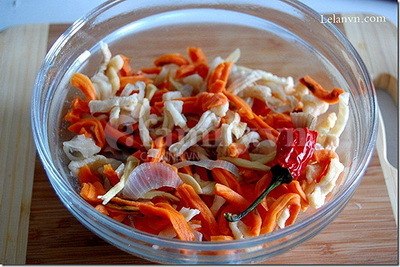 To remove the raw material from the pot and then you soak in the bowl of cold water ,Please wait to dry. 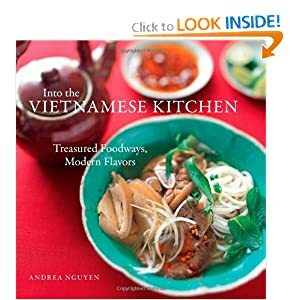 At that time,you cook the fish sauce, sugar and little hot water, turn off the gas stove. 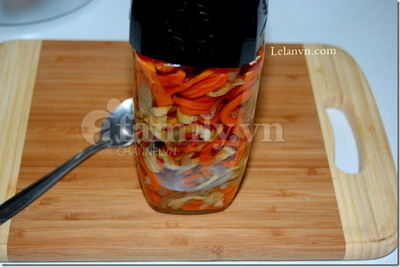 To put carrots, turnips, garlic, chillies into jars. Add the fish sauce when it is getting cold. 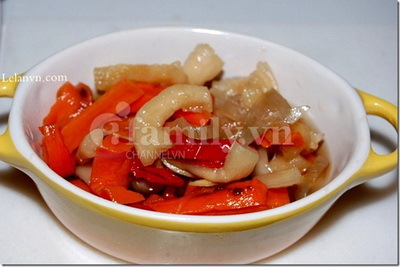 To maintain vegetable pickles in refrigerator or airy place ,after three days or a week you can use it. 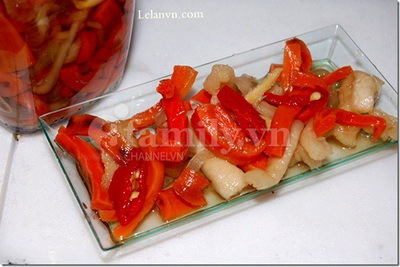 To pick up vegetable pickles to the disk ,you can eat it with cylindric glutinous rice cake(banh tet), square glutinous rice cake(banh chung)or frozen meat are very tasty.